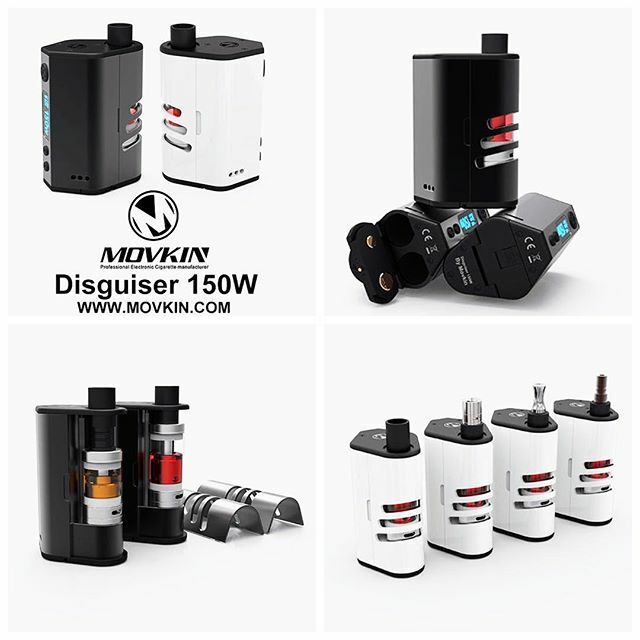 The Movkin Disguiser 150W changes the way a vapor device looks. As the name Disguiser implies, it hides 90% of the tanks available in the current market. The drip tip and windows in the atomizer cover make this concept work well. It boasts a 150 watt output, and the option of using kanthal, Ni, Ti, and SS modes meets any vaper’s needs. Everyone needs one of these compact, clever and powerful setups.